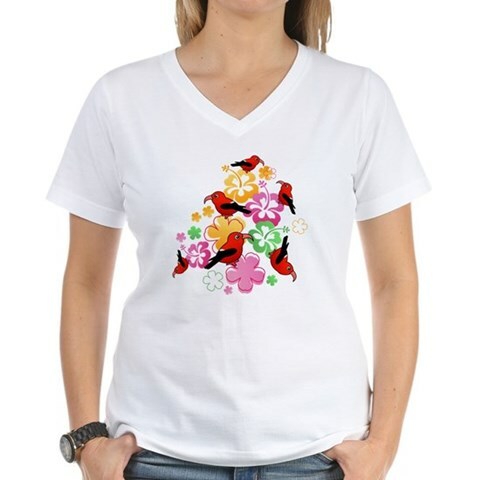 This week's featured t-shirt is this Hawaiian-style 'I'iwi. The 'I'iwi, also known as the Scarlet Hawaiian Honeycreeper, is endemic to the Hawaiian Islands. It has a long curved bill that it uses to drink nectar. Although there are large colonies of 'I'iwis on the islands of Hawai'i and Kaua'i, it is no longer found on the other islands due to habitat loss.